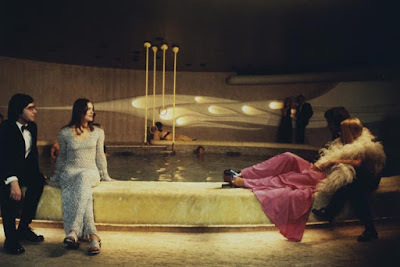 The Toronto International Film Festival Vanguard Blog: DER NACHTMAHR: Five Freaky German Films! German director AKIZ has said that his film Der Nachtmahr is "New German Fantastic Cinema" with roots in the Expressionist films of the 1920s. 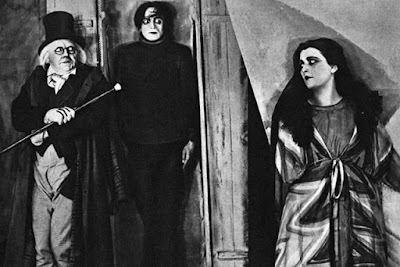 We thought we'd highlight a few more freaky German films from the country's rich cinematic tradition. 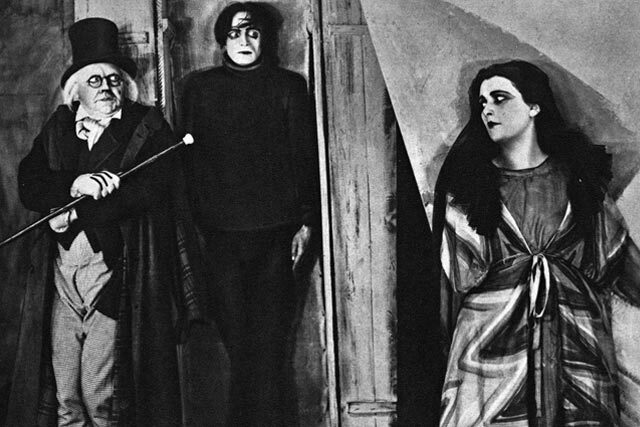 Considered the epitome of German Expressionist cinema, Das Cabinet des Dr. Caligari relies on dreamlike imagery to convey the lead character's dissociation from reality. An evil hypnotist seduces a somnambulist into committing murders for him (kinda like NBC's Hannibal!) The film's startling, vivid visuals, and subjective tone would go on to influence the film noir of the 1940s and beyond. STOP CALLING ME VINCENT PRICE. Featuring Conrad Veidt (the somnambulist from Caligari and Maj. Strasser from Casablanca) and German film legend Emil Jannings (The Blue Angel, The Last Laugh), Waxworks is an anthology film involving a poet hired to write back stories for the famous figures of a wax museum: Harun al-Rashid, Ivan the Terrible, and Jack The Ripper. "What are you rebelling against?" "Whaddya got?" With Werner Herzog, you learn to expect the unexpected. 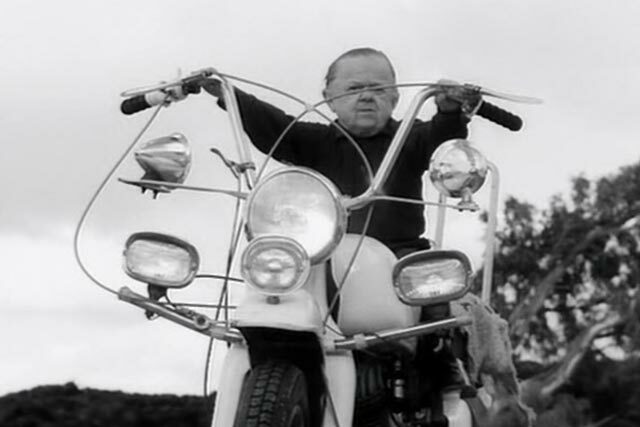 The film begins with a dwarf being interrogated regarding a recent revolt staged by the residents of an institution. The rebellion is then depicted through a series of outlandish flashback sequences for the rest of the film, including food fights, destruction of property, arson, animal killing, and the tormenting of blind dwarves. The Love Boat... OF THE FUTURE! Rainer Maria Fassbinder's sci-fi film was based on a 1964 novel called Simulacron-3; both versions boast a plot that inspired The Matrix trilogy. A supercomputer simulation program has created an artificial world of thousands of "identity units." One of the managers of the program dies before he can reveal a huge secret, one that his successor can't find out because people keep disappearing. When one of the units tries to place his own mind into a human body, things get out of hand quickly. Clearly she didn't see Trainspotting. Based on Charlotte Roche's novel, Wetlands follows the misadventures of a rebellious teen named Helen who is struggling after her parents' divorce and her mother's mental health problems. The movie is not only OMG and WTF but also extremely NSFW thanks to scenes involving hemorrhoids, the sharing of used tampons, trying to get STIs from public bathrooms, and other activities sure to make anyone's squick meter rise exponentially. Despite that, Wetlands has been much praised for its poignancy and the bravura performance from lead actress Carla Juri. Check out Der Nachtmahr at this year's Festival to see where it fits into the panoply of freaky.